At SXSW on the Wednesday; this elder-statesmen Stooge owned the night. He hit the ACL Live at the Moody Theater stage in a sharp black suit and charged right into the tone-setting “Lust for Life” and “Sister Midnight,” and by the time the 68-years-awesome punk icon had finished his third song, the new track “American Valhalla,” he was shirtless – his famously gnarled, sinewy, constantly contorting, and occasionally stage-diving torso on proud display. 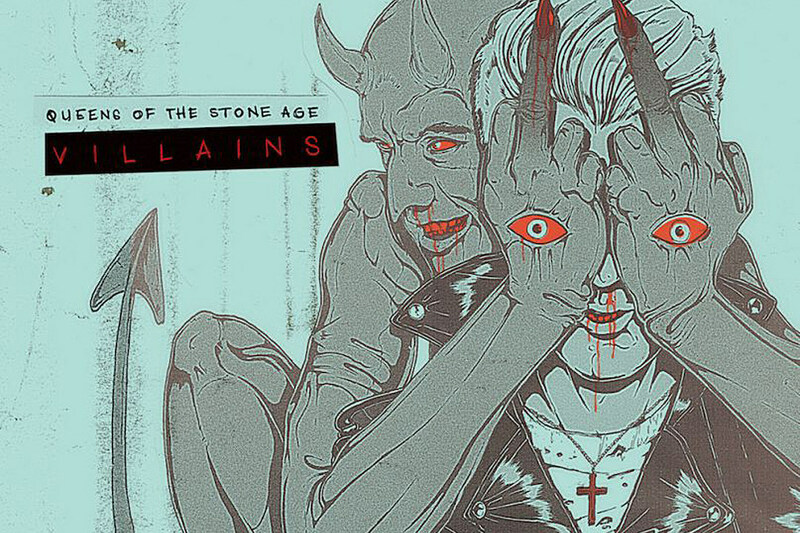 Incredibly, this was only the third show for Pop and his new all-star backing band – current collaborator Josh Homme, of Queens of the Stone Age; time-keeping beast Matt Helders, of the Arctic Monkeys; Chavez’s Matt Sweeney on bass; and multi-instrumentalists Dean Fertita (QOTSA, the Dead Weather) and Troy Van Leeuwen (QOTSA, A Perfect Circle, Failure). But they were a tight and aggressive unit, sounding like they’d been playing together for years. Together, they tore through 22 tunes, including Berlin-era-Bowie-esque tracks from the stellar new Homme-produced album Post Pop Depression (“Gardenia” “Break Into Your Heart”); solo classics like “Funtime,” “Nightclubbing,” “The Passenger,” and “China Girl”; and rarities like “Success” and “Baby.” The crowd went wild. At one point, when Pop taunted/tempted the audience by yelling, “Come up here and f— me!,” it seemed like he had more than a few volunteers. Post Pop Depression might be Pop’s final album, according to his recent interviews – which is a shame, since, judging by his SXSW performance, he seems at the peak of his powers right now, his lust for life very much intact. 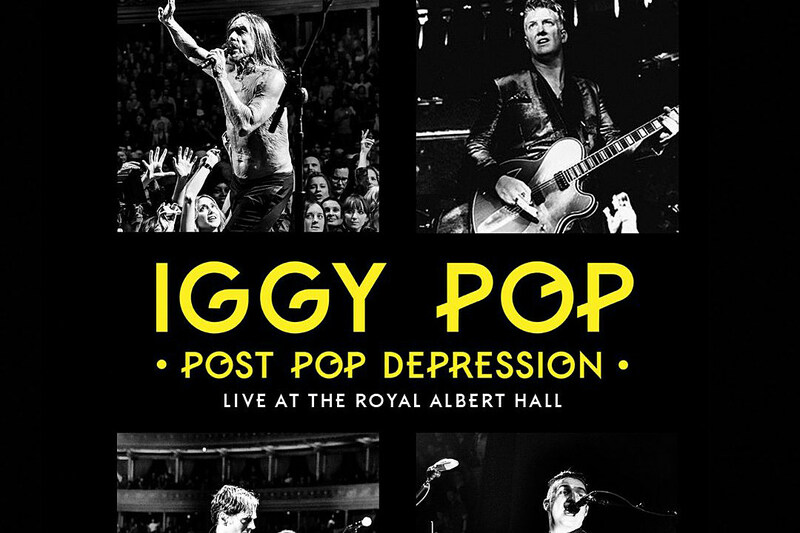 (We don’t want to call this a resurgence, since he’s been “resurging” since the late ‘70s, really – but Post Pop Depression is the best thing he’s done in years.) However, if Pop does retire after this, he’s going out in style – and, thankfully, he has managed to completely reclaim his name, after a year or two when many people annoyingly associated “Iggy” with a certain Australian rapper. There is only one Iggy, and he ruled SXSW this year. This 68-year-old man stage-dived. That man was Iggy Pop. It was, of course, incredible, as was the rest of his set with Josh Homme. 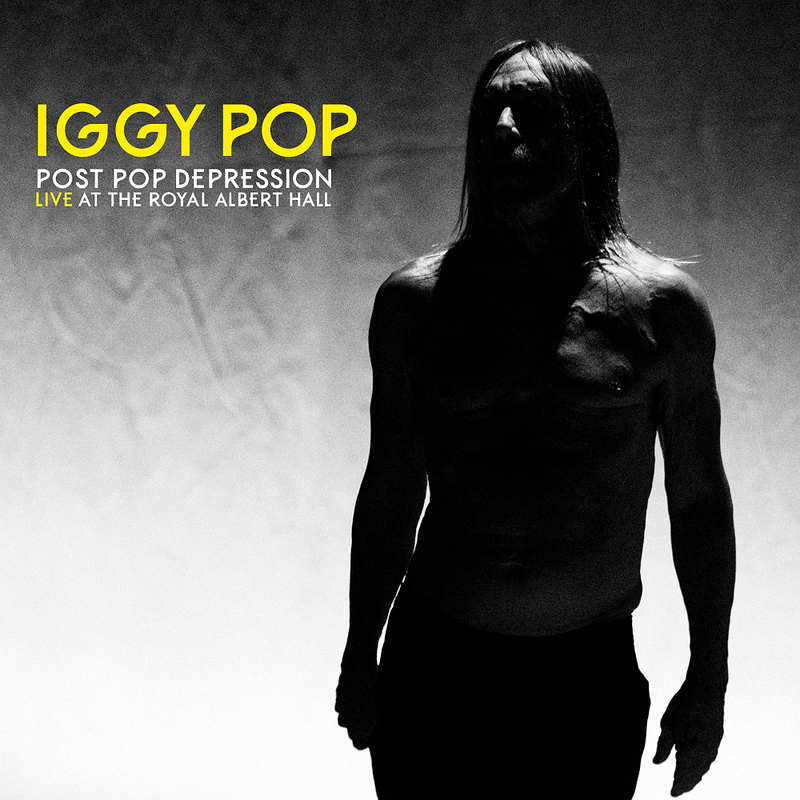 The emphasis was on material from their album, Post Pop Depression, but there were plenty of Iggy classics like “Lust for Life,” “The Passenger,” “China Girl,” and “Nightclubbing” tossed in for good measure. Homme is the perfect musical partner for Pop, holding his own on the hits, and the new material sounded strong among the timeless stuff. Iggy seemed truly appreciative of the large crowd at the Moody—so much so that he ran about a half hour long. He ended with an eight-song encore, and probably could have played another hour had it not been for the venue curfew. Make no mistake, Iggy Pop is back. The Kimmel visit came just hours before Pop revealed that he had contributed to a biography about the Stooges that would be released through the publishing wing of Jack White’s Third Man Records. The book, titled Total Chaos and penned by Jeff Gold and Johan Kugelberg, is expected out sometime in the winter. 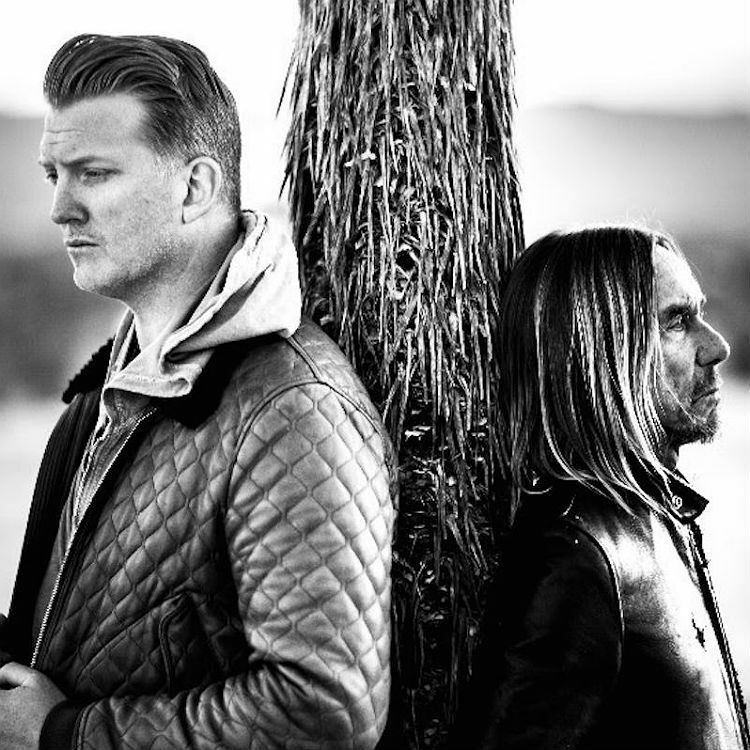 Iggy Pop and Josh Homme have unveiled another new cut from their upcoming collaborative album, Post Pop Depression. Check out ‘Break Into Your Heart’ the second song previewed from the upcoming album. 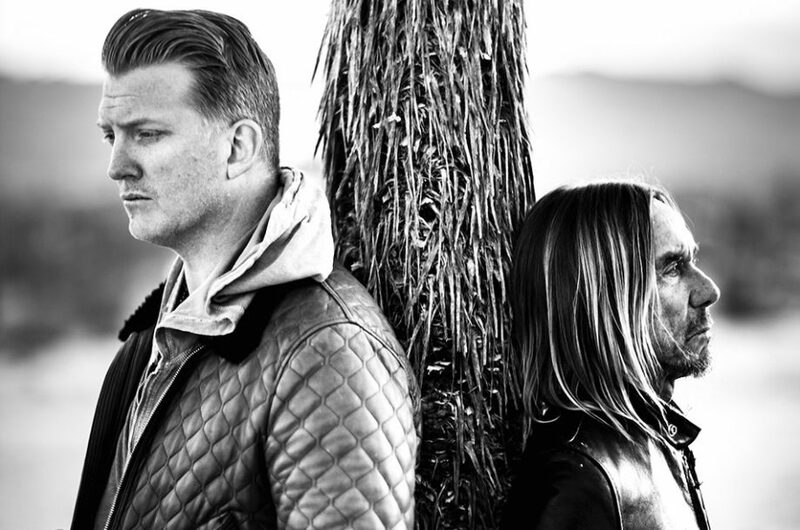 Last week, the punk icon and Queens Of The Stone Age icon suprised the world when they revealed that they had been making the record in secret – with the album harking back to Pop’s ‘Lust For Life’ days – before dropping the exquisite lead track ‘Gardenia’. Now the outfit, also featuring Arctic Monkeys’ Matt Helders on drums and The Dead Weather’s Dean Fertita on bass, have revealed ‘Break Into Your Heart’ – anoter dose of Bowie-esque experimental darkness, with a dose of QOTSA meets Tom Waits menace. It’s really good. “I wanted to be free,” said Iggy of the collaboration. “To be free, I needed to forget. To forget, I needed music. Josh had that in him, so I set out to provoke an encounter-first with a carefully worded text, followed by a deluge of writings all about me. No composer wants to write about nothing. 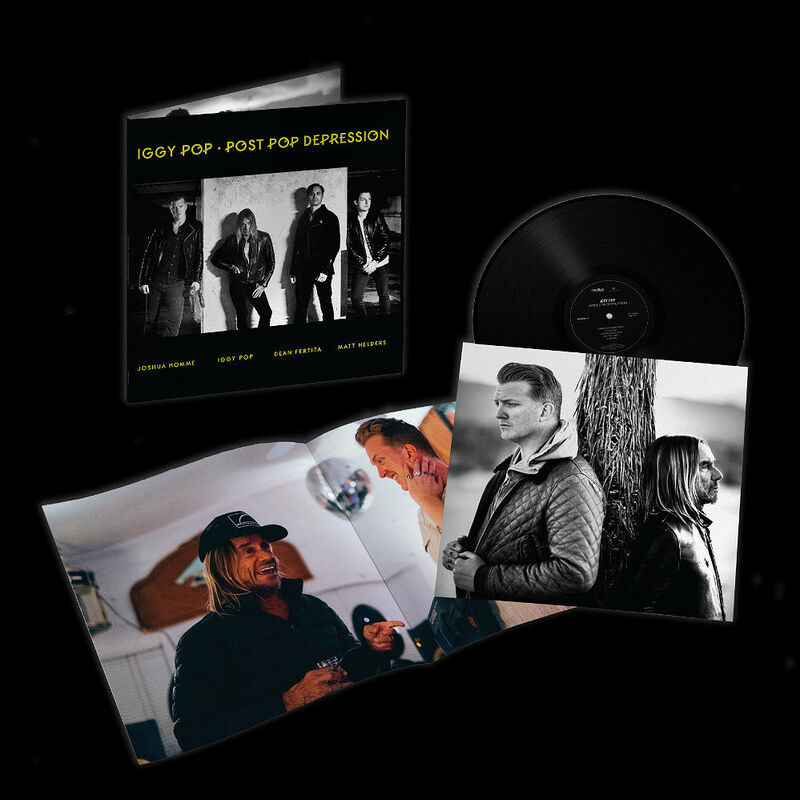 He got revved up and we had a great big rumble in the desert USA.” Post Pop Depression will be released on 18th March.